Ringtones are poor,need a better selection!. hello. i live in croatia. 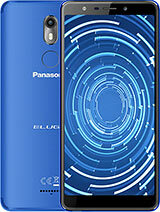 and i must tell that the panasonic gd 76 is great mobile phone.please contact me about the price of gd76. Does anyone know where te download polyphonic ringtones (for the netherlands)i can't find any. perhaps via wap? First of all, with the ringtone converter, mentioned in this list, you can use Nokia ringtones on the GD75. The GD75 has a list with missed calls, dialled numbers,... this phone has it all! Even the battery is good, up to four days standby with one hour of conversation. I turn it off at night, ofcourse! 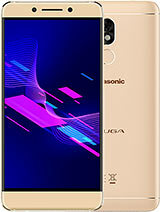 panasonic GD75 is a very versatile phone.The only problem is that it never support any ringtone like NOKIA. To Morpheus: There is a received/missed/dialled call list, I don´t know how many entries it keeps and for how long, but I am at 8 at the moment and the oldest goes back to 7/8. 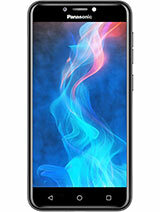 The phone look great, and it has interesting features, but I need to know couple of things before I buy it. Can some confirm or denie the statement that there is no dialed/missed/recieved call lists? The Panasonic GD75 is great. I always had Panasonic GSM's. I tried other brands but the Pana's are definitely the best!!! The GD75 is small, light, very reliable, has some good features on it, a big and clear screen. The joystick is fantastic! 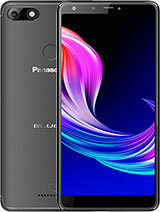 I don't need gadgets on the phone like ringtones and logo's but all who's interested in it, there are some sites for Panasonic phones. They've been mentioned in this list. There are other sites on the net, you just have to look a little harder. 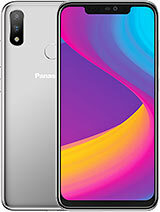 Hi, I think this phone is quite good. The battery last about 4-5 days for me, but I have set it to switch of automatically every night and I dont use the backlight during the day (no need for it anyway, eventhough it does look awesome :)). The only thing I miss is decent ringtones. Somebody mentioned a ringtone converter, so you can use Nokia ringtones? where do you find that, coz I have been looking, but no luck so far. 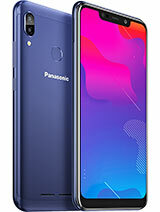 i would like to ask if it is possible to download a games to panasonic gd75?? logos?? I know one site www.downloadable4u.com but i would like to know another. could you please inform me if you know any other web site!!! thanx. In order to put new words in the dictionary follow the instructions. First of all create a new message and use T9 to write a word. If you get stuck, change the characters and use "abc" to complete your word. Then save your message and your word will be saved. If you delete this message your word wont be deleted. If you have problems and questions please contact with me. I'm looking forward to hearing from you. Does the GD75 have a Colour Screen and is it as good as the Samsung T100. Kindly clarify. Thanks. Damn! Can't hear the ringer! This is POS phone! hey, just realised something as well on the images of the phone. the tip of the joystick seems to be pointed but mine is flat. whats the shape of the joystick on your gd75 phone? was just browsing this forum. i see people claim that their gd75 lasted up to 3 days! kinda suprised ... how do u charge the phone bcoz i can only get 1 day out of mine ... its brand new ... i charge mine when the phone bleeps and say battery low, etc .. let it switch off by itself and then i plug it into charge which takes only 2 hours to charge. my battery is a: 3.7v 650mAh Li-ion. for those of you who want ringing tones, there are lots on the internet now.